I had an awesome weekend participating in the Global Game Jam at NYU. 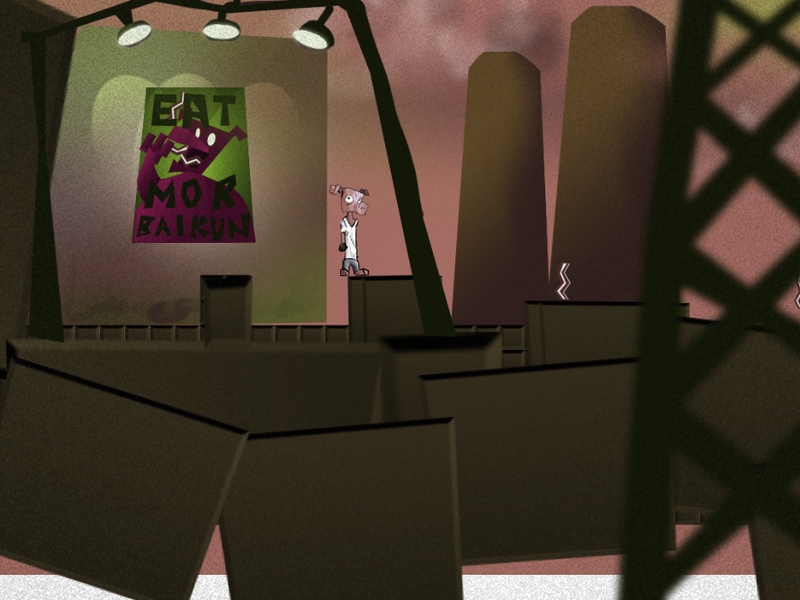 The theme was heartbeat, and we ended up making some weird puzzle platformer about bacon, fartjumps, and the paradoxical interplay of American consumerism and body image attitudes. It’s called Gird Up Your Loins, because we’re insane. I’ll post a link below, but I’ll put up a better version when we’re done with it. The team seems excited and willing to get back to work, so it may be ready quite soon. That team is Shuichi Aizawa (co-lead programming), Mark Anderson (audio), Chris Hernandez (art), me (co-lead design, programming), Ben Serviss (co-lead design, level design, programming), and Neil Sveri (co-lead programming). It was really just stupidly fun to work with these guys, it’s amazing we managed to make a game with all the hilarious crap that went on. If you’re impatient, you can play it here, but it will make more sense and look better and sound better when we’re done. You have the willpower to wait, don’t you?